POLICE are continuing to search for a little girl who is thought to have become separated from her mum in Birmingham city centre. The child is believed to have told shoppers on Cherry Street and around St Philip's Cathedral that she had lost her mum before running off. Police officers on routine patrol were alerted at around 5.40pm on Sunday. Despite a search of the area and a description being circulated to all police officers and bus companies, the girl could not be found. Officers scoured hours of CCTV footage from dozens of cameras and now believe the child got on a number 46 bus on Livery Street at the side of Snow Hill railway station. In the images she appears to be using a mobile phone. Police are now in the process of reviewing bus footage to identify where she got off. Inspector Adam Henderson, from Birmingham Police, said: "There are no missing children reports which match the description of the girl but this is an unusual incident which we must get to the bottom of. "We put out an appeal on our Facebook page last night which prompted people to call us with new and possibly useful information. "Today we are renewing that appeal and urging anyone who recognises the child to get in touch as a matter of urgency." 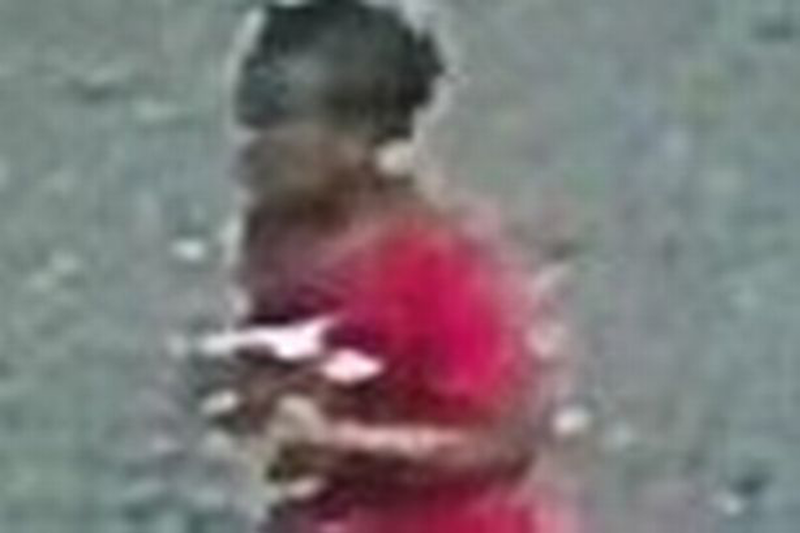 The girl is described as being aged between eight and 12, black and under 5ft. She was wearing black leggings with a red/pink top with white letters on the front. Her hair was braided and she had a scar under her eye. She is believed to be from Birmingham. Anyone who can name the girl in the CCTV should call police on 101.